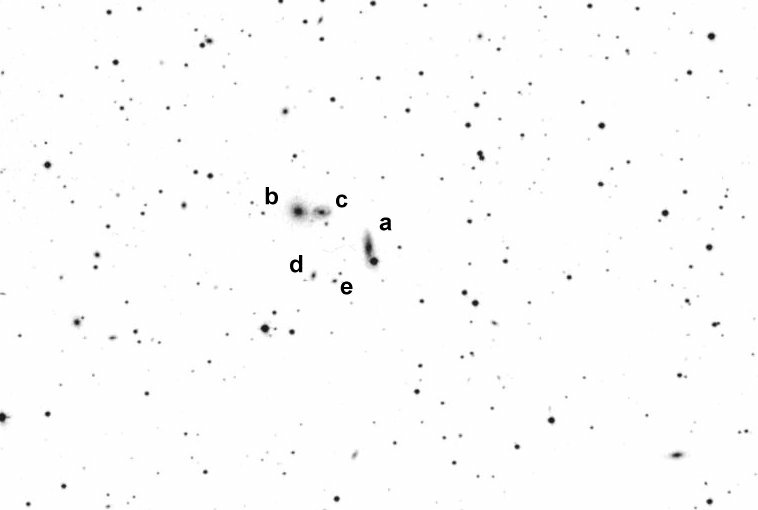 17.5: Hickson 99b is the brightest of a faint and close trio. Appeared faint, very small, round, 0.4' diameter. Contains a very small brighter core with a fainter halo. Forms a very close pair with the "C" component just 0.6' W of center. The "A member (U12897) lies 2.2' SE adjacent to a mag 11.5-12 star. 17.5: faintest of three in the Hickson 99 group, this difficult galaxy required averted vision to glimpse a barely nonstellar spot (only core seen) 0.6' W of Hickson 99b. No details were visible and appeared no larger than 10" in diameter.